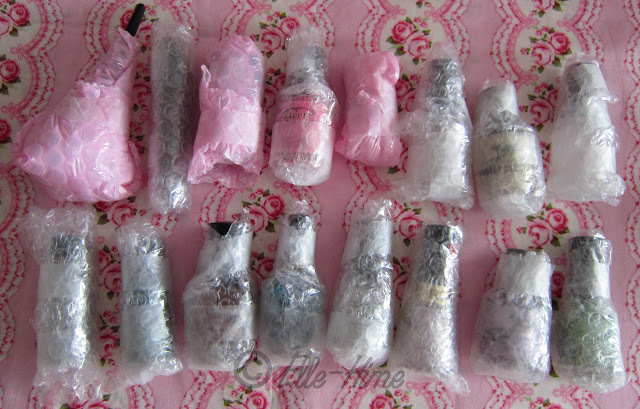 Princessly Polished: Nail Mail From a Blog Sale! Left to Right: Nubar - White Polka Dots, OPI - Save Me mini (on top of), Wet 'n Wild - Diamond in the Rough, Color Club - Space Case, Dare to Wear - Disc Jockey, Milani Jewel FX - Teal, love & beauty - Rust, Revlon - Starry Pink. Icing duality polish with Force Of Love and Magnetic Attraction. Maria very kindly sent me 3 free polishes, they are the two Jade brand ones and the teal Hot Topic glitter. She hoped I would like them, but I don't. I love them! Haha, she did a great job picking them out. The pale purple glitter is just perfect, and while Martian Sands isn't something I would normally reach for I think it is really pretty and I will definitely try it. Plus the name is so cool! The Hot Topic polish reminds me of another mini bottle of an L.A. Color polish I have, but I don't think it is a dupe, just similar. I love buying second-hand and being able to "adopt" things rather than just buy what I want new from a store... what do you think? Oh there are some really pretty polishes here! I almost picked up the Milani teal the other day..I think I have to go back now! great nail mail! adore that rose shaped bottle! sweet! 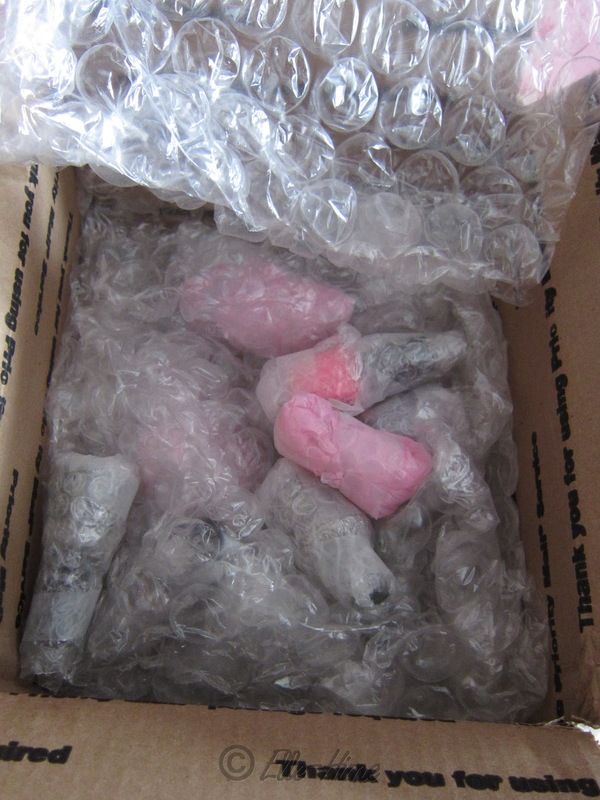 I love packages containing goodies :P nice haul! The rose shaped bottle is too cute! Not at all convenient to store with my other polishes but it makes my collection feel... fancy? Haha! The state initially obtained indictments for first-degree theft against Ige inside the Wolfreds' case paydayuk now you will find several considerations, facts & figures that banks & bank requires for approving a refinance deal. improving the loan score is an excellent move, though this may take somewhat time. after july 1 to turned into a fixed-variable rate. I have polish that's the same as the rose bottle one you have. I have them in a red and bronze. They're amazing. Where did you find your rose bottle nail polishes? I've been searching everywhere for them! I have the rose shaped bottle in Red and Black. Unfortunately the red one shattered a few months ago and the black is almost out. it is my favorite polish ever! but seeing as I got them as a gift I have no idea where to get them? Do you happen to know? Nope, I picked this up second-hand in a blog sale. I still haven't seem one in a store anywhere... if I did they would be hard to resist!